It's so obvious that lately many Indonesia Beauty Blogger have been raving about this product so much. Here and there people talk about Bourjois Rouge Edition Velvet lipstick, and last time I heard this lipstick was sold out in many Bourjois counter in Indonesia. And lucky me, I managed to got this product for free from Bourjois Blogger Gathering along with the Bourjois 123 Perfect CC Cream and Twist Up The Volume Mascara. 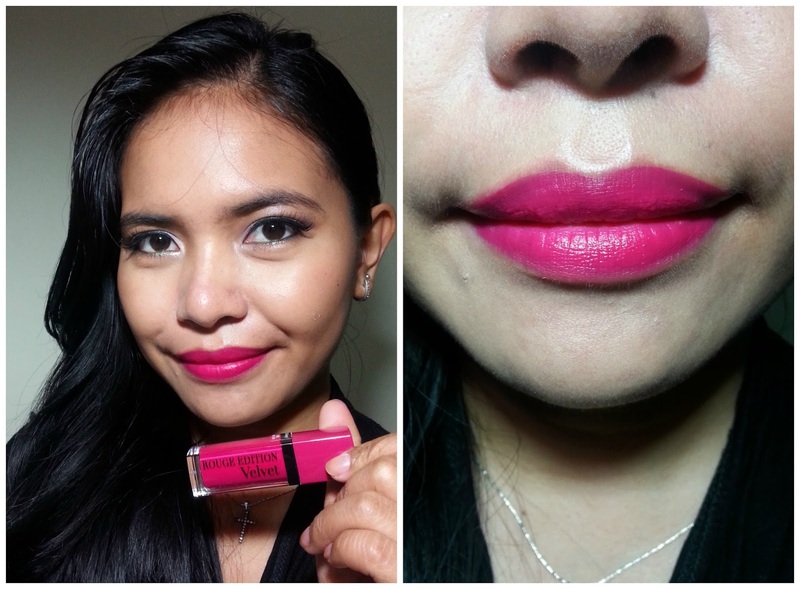 Apparently this lip product has been around since April 2014, but in Indonesia it stayed under the radar for months until recently people have started to talk about it. So this is the information from I gathered from the website: Bourjois Rouge Edition Velvet by Bourjois is the new era of lipsticks. An amazing, irresistible formula. It's soft, melting texture glides on to the lips and turns into a matte, velvety and incredibly light color. Enriched with evanescent oils, it;s incredibly sensuous formula provides a soft, second-skin feel, without drying or fading lips. Rouge edition Velvet lasts 24 hours with no need for constant touch-ups. When it comes to lipstick, I always prefer the one that have solid formula aka conventional lipstick. So when I first got this product I was a bit hesitated. Except for Etude House Lip fit, which is a bit off for me, I never tried other liquid lipstick. Moreover, this brand is not available in USA, and since many of my favorite YouTubers that I watch are from USA, they rarely mention this brand let alone this product. I honestly never heard about it until I attended Bourjois Blogger gathering. But I am glad that Bourjois is available in Indonesia. As packaging goes, Bourjois Rouge Edition Velvet has a compact one. It made from clear plastic material , which is great because we can really see the the product inside. It comes with screw caps and has a standard doe foot applicator. Overall, i think the packaging is okay and nothing special. Bourjois Rouge Edition Velvet neither smell sweet nor floraly. In fact, the when i smelled directly from the tube, the strongest scent that i could recall was chemical scent. Correct me if I am wrong, but it smells like paint plus other ingredients mix together. But it really doesn't bother me and the scent fades after few minutes. 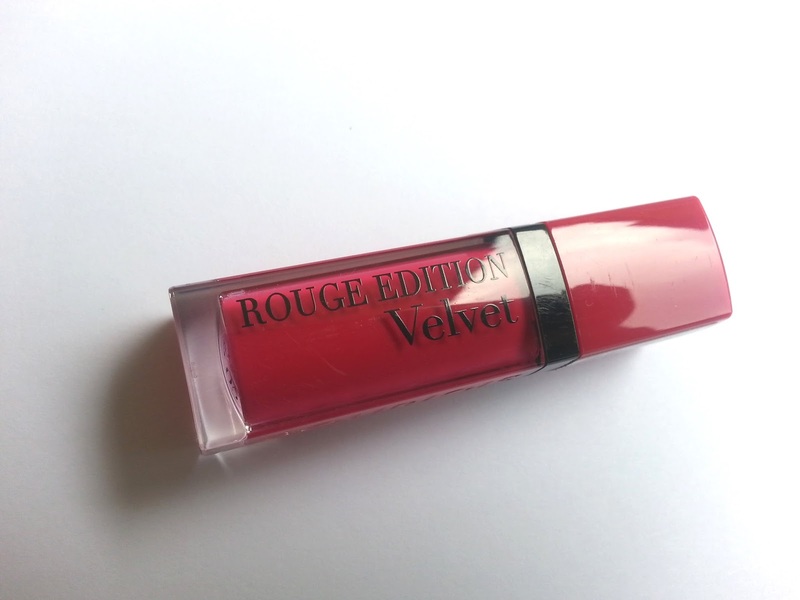 Bourjois Rouge Edition Velvet has a unique formula. At the first application, it looks a bit shiny on the lips but once it dries, it looks a matte and has velvety texture that feel smooth and not sticky at all. I know some people mention that after awhile the texture turns a little bit into powdery finish, and I experienced the same thing but i am not worry to much since it's not drying my lips. The formula is buildable, you can apply it layer after layer and it wont turn goopy or streaky. And that's what I like about this lipstick, it has a matte finish but it's not drying or accentuate lines on my lips, even after I eat and everything it still looks good on my lips. I don't have to put lip balm before I applied this lipstick, but if you have a super dry lips, you might want to exfoliate your lips with lip scrub beforehand. 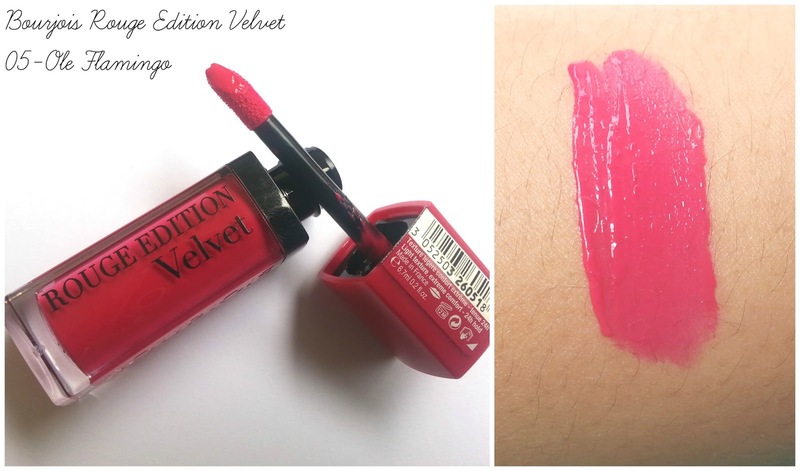 No doubt that Bourjois Rouge Edition Velvet has a strong color game. This range has 8 super vibrant shades that are to die for. I have shade number 05 and it's called Ole Flamingo. It's a pink fuchsia which so pigmented that it hides my dark lips very well. I know that this product claims to be last for 24 hours, but from my experienced, I don't think this lipstick could stay that long unless you don't do anything with your mouth (eating, drinking, kissing etc). First of all, even after it dries the color still transfer, it smudges on the glass that I drink, it transfer on the tissue that I pat to my lips. And when i trace my lips with my fingers, I could see the color stain it. However, compare to most lipstick that I own, Bourjois Rouge Edition Velvet is definitely last longer. I wore from 9 in the morning until 5, and when I looked up my face on the mirror, the lipstick still there even though the color were rubbed off at the corner of my lips due to drinking and eating.